Darren has been with Merrill Financial since 2007. 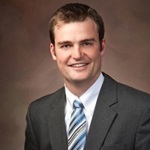 He graduated from Brigham Young University with a degree in Psychology and assists with client acquisition, client relations, and account setup at the firm. Darren is Series 7 and 66 registered through Commonwealth Financial Network and works as our Director of Marketing. He enjoys getting to work with people, learning about them, and helping them create a plan to achieve their financial goals. Darren grew up in Moscow, Idaho but came to Provo for school in 2004. He currently lives in Lehi with his wife, Cari, and two daughters, Lucy and Harper. Outside of work, he enjoys reading, watching sports, golfing, and spending time with his family.